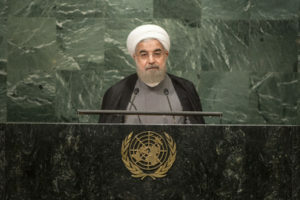 Iranian President Rouhani’s solid reelection victory clears the way for Iran to continue its efforts to reengage with the global community and expand freedoms domestically, reports Trita Parsi. The Iranian population’s political sophistication continues to impress. Despite a highly flawed political system where the elections are neither fair nor free, the overwhelmingly majority chose a non-violent path to bring about progress. They massively participated in the elections with a 75 percent turnout – compare that to the turnout in the U.S. elections in 2016, 56 percent – and handed the incumbent moderate President Hassan Rouhani a landslide victory with 57 percent of the vote. First of all, once again, Iranians voted against the candidate who was believed to be favored by Iran’s Supreme Leader Ayatollah Ali Khamenei. This is now a strong pattern. Secondly, the Iranians rebuked exiled opposition groups and Washington hawks and neocons who called on the Iranian people to either boycott the elections or vote for the hardline candidate Ebrahim Raisi in order to hasten a confrontation. Clearly, these elements have no following in Iran. Fourth, despite Rouhani falling short on his promises to improve the human rights situation in Iran, Iranians and the leaders of the Green Movement leaders gave him a second chance. But now he has a stronger mandate – and fewer excuses. Now is the time for him to deliver on the promises that inspired tens of millions of Iranians to elect him twice as president. He must take decisive action to protect the human rights and civil liberties of the Iranian people, pursue improved relations with the world, and promote economic growth for the Iranian people. The hardline forces behind Iran’s arbitrary arrests and spiking executions may not answer to Rouhani directly, but the Iranian people who elected him expect him to do more in his second term to bring about change. 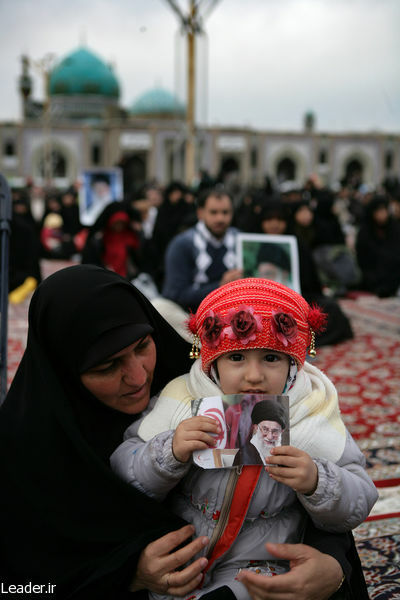 Failure to do so risks disenchanting a generation of Iranians from the belief that their voice can make a difference, potentially ceding Iran’s future to the hardline voices who would take the country back to isolationism and confrontation with the West. Fifth, while Saudi Arabia is hosting Trump and pushing him to return to a policy of complete isolation of Iran, the European Union Foreign Policy head Federica Mogherini congratulated Rouhani on his election victory and recommitted the E.U. to the nuclear deal. The election results will strengthen the E.U.’s dedication to ensuring the deal’s survival as well as its commitment to an inclusive security framework for the Middle East. Consequently, the E.U. will oppose Trump and Saudi Arabia’s attempt to stage a confrontation with Iran. This puts the Trump administration once again out of synch with Europe and the U.S.’s Western allies on a key security issue. Trita Parsi is the founder and president of the National Iranian American Council and an expert on US-Iranian relations, Iranian foreign politics, and the geopolitics of the Middle East. He is an award-winning author of two books, Treacherous Alliance – The Secret Dealings of Israel, Iran and the US (Yale University Press, 2007) and A Single Roll of the Dice – Obama’s Diplomacy with Iran (Yale University Press, 2012). He tweets at @tparsi. Well I do think one ought to point out the following: unlike Marco Rubio, the Iran nuclear agreement is not going to be dismantled under Trump. I’ll admit he tried to have his cake an eat it too during the campaign. What politician doesn’t. It was the only significant difference between Rubio and Clinton on foreign affairs, and Trump went with Clinton. I left several posts but I forgot to say this: Thank you, Trita Parsi, for a very informative article about Iran and its people. But Iran WILL be in constant danger regardless of the positive political changes. Thanks, Trita Parsi! This is very good news! As General Wes Clark said when he was leading a fight against a War with Iran via VoteVets.org – “Iran is a multicultural country with 80 million people”. It pisses me off that the Neocons ignore millions of people and pick one “leader” to demonize and scare people so they can get us to pay for their for-profit wars. Just for the record: Yugoslavia was also a multicultural nation with tens of millions of people. That was the nation that ‘Wes’ Clark played a key role in destroying. And its not just neo-cons that should piss you off. The Vietnam War – the war I stupidly participated in – was largely a creation of Liberals. George H.W. Walker Bush started the Iraq-Gulf War, but Bill Clinton kept it going with both eight years of lethal sanctions that killed half a million Iraqi children alone and with repeated military assaults designed to make it impossible for Iraq to defend itself. George Bush just wrote the third chapter of that war. Obama and Hillary destroyed an entire Arab nation once known as Libya for no good reason and were largely responsible for creating the war in Syria that has cost hundreds of thousands of deaths in another country that’s being destroyed. Unless all those people are Neo-Cons, you can’t just blame them. Well, you CAN. But I believe you’d be wrong. Liberals and conservatives, Republicans and Democrats are in on the plunder. I don’t think the EU will seriously challenge Trump. But the destruction of Iran is more likely something planned by the ‘Deep State.” The war in Syria might be motivated by the need to neutralize the thousands of missiles that Syria controls that can reach deep inside Israel in a matter of minutes. If Syria and Hezbollah use should their missiles to support an Iranian counter-attack to an attack on Iran by Israel and the United States, thousands, if not tens of thousands, of Israelis could die. If Syria falls, Israel will probably invade Lebanon – with full US support – to destroy Hezbollah’s medium and long range missiles. Then it will be Iran’s turn. And then the economic and political isolation and marginalization of Russia. The handwriting for such a progression of events has been on the wall for some time. If that’s the case, there may not be anything the Iranian people – or their government – will be able to do to make peace with the United States. And it wouldn’t matter who is president. I sure as hell hope I’m wrong. The Russians and Chinese understand all this, and won’t allow either Syria or Iran to fall without a fight. Hence, the warmakers need to adjust themselves to a “shared” reality before they get everyone killed. No opposition group called to Iranian people to vote Ebrahim Raisi. This is an absolute lie. Mr. Parsi is an Iranian regime lobbyist and his job is to demonize the Iranian Opposition on behalf of Iranian regime. Stop spreading lies CNN. Fourth, despite Rouhani falling short on his promises to improve the human rights situation in Iran, Iranians and the leaders of the Green Movement leaders gave him a second chance. But now he has a stronger mandate – and fewer excuses. It’s my belief that Rouhani and any other elected leaders have precious little power – that’s reserved for the clerics. So blaming him for nearly anything isn’t really fair. On the plus side, Iran gets some practice of going through the motions of Democracy. Yep, Trump did it all. He’s solely responsible for stripping and sucking the planet dry, for polluting the oceans and rivers, for over-populating the earth, for mountains of garbage, for depleting the aquifers, of our insatiable appetite for more cars and consumer products, for the devastation of forests, for big agriculture and chemicals, for power plants. Fukushima is a closely-held secret, my friend; it’s not going away. I’d say we did it to ourselves. It is an obvious exaggeration to say that Trump is singularly responsible for all the sins of humankind. This being said, he is in the position to do more harm than any other person on Earth, and he is moving to do that by many actions he has taken since being president. Anyone minimizing the damage he has already done is making a dangerous mistake in my opinion. I find it difficult to name one positive thing he has done, but it would be too long a list to recount all the really bad decisions he has made so far. To support this dangerous man in any way will bear bitter fruit. This seems so obvious to me that I feel foolish even trying to justify it, so I will subside. mike – he passed legislation to prevent government officials from lobbying for five years after they leave government (the revolving door). He stopped the TPP. He is sending dangerous illegals back home. He is being pressured to put an end to Social Security, but he said he is NOT going to do that to the people. He was just barely getting started when they shut him down. I don’t agree with everything Trump says, but I do think he wanted to drain the swamp and help the common man. You make some valid points backwardsevolution. No one is consistent enough to do the wrong thing every time; so I was incorrect to paint Mr. Trump in unrelieved tones of pure black (one gets carried away when trying to emphasize a point). But I have to ask – if Trump wanted to drain the swamp in Washington, why did he make the absolutely disastrous choices for his cabinet and advisers that he did? And if he wanted to help the common man why is he pushing for an enormous tax gift to the wealthiest among us? And why did his people craft a health care scheme that would leave the poorest among us without adequate care? But I am more concerned about the two most serious and critical problems of our time on Earth – nuclear war and climate change. Why has this man decided that our obscenely bloated military needs a 50 billion dollar increase in it’s budget? Why did he say in his run for the presidency, “What’s the use having nuclear weapons, if you don’t use them?” Why has he turned our military policy over to some of the most gung-ho war makers available? Trump is a total climate change denier, and is doing all he can to gut the EPA, withdraw from climate change agreements, build more pipelines, burn more coal, etc. Our ailing climate could have no greater enemy than Donald Trump. If anyone chooses to defend Trump, then they need to defend his toxic policies also. If Trump’s legacy is to be that he did more to destroy our world than any previous president, I personally find that to be frightening and depressing. As for the idea that Trump is simply a businessman and sees the world through those lenses, I don’t buy it, and if I did it would not make me comfortable with Mr. Trump. You see, I am not a big fan of “business” which to me is a euphemism for capitalism, which for me is one of the root causes of our global disaster. One of the key problems with Donald Trump is that he is a “make America great again” uber-capitalist. He was wise not to echo Reagan’s “all boats will rise” BS – but it is implicit in his phony thinking. It’s part of the take care of the wealthy and all will be well meme that he decorates oligarchy and greed with. He may have fooled many with his boast that as a good businessman (which he is not) he could set everything straight in the world and make everyone in America prosperous again (which we never were) – but I am not amused by his buffoonery in that regard. This guy Trump is threatening everyone on Earth with his crazy climate crisis denial. I predict that millions will die due to his evil policies. This man represents probably the greatest danger to humankind of any person alive. He is the deadly enemy of every being on Earth. Having said that, do I hate him? No. We cannot afford to entertain hate for anyone if we are to have a slim chance of surviving these times. I agree with backevol, mike, I don’t think Trump is anything but a fervent capitalist who believes business is best. He gets terribly mixed up on consistency of foreign policy, that’s his dreadful problem. 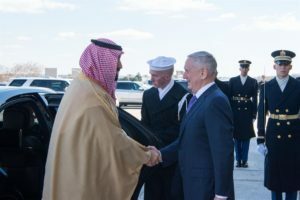 Iran will be critical on his confusion because of his warmonger generals, Mattis especially. In my book Jessica, all uber capitalists are sociopaths, as are all uber militarists. Their concern for others is nil. Their conscience is on vacation. They are killing and starving and stealing with zero remorse. To me that is sociopath at best and really more like deeply evil. What’s in a name? It’s their hellish behavior that identifies them. I have no truck with alibi-ing or sugar coating the likes of Donald Trump. Ask the people he has killed by the time his stint as prez is over. I have to confess, I don’t have a lot of sympathy for billionaires, period. I hope not too many are using the excuse they did for Obama, “He wants to do good things, but they won’t let him.” Please! It’s too late for that stuff. His record reveals who he is. I am not going to recite his lies and murderous misdeeds; most whose eyes are open are aware of all that. I am not beating up on you Jessica. I respect your sharing and know you are sincere. But I have to tell it like I see it. There is no implication that anyone has to agree with me – I have been wrong too many times to expect that! I’m sure that secretly Trump is breathing a sigh of relief at this development. It will take the wind out of the neocon sails for awhile, that is until they can pull a few false flags out of their pockets in order to push for more war. Trump spoke against war, he campaigned on stopping the wars, but he is being pushed where he doesn’t want to go by the neocons, the media, the Democrats and many Republicans. This takes some of the heat off him. Give us your central bank, deal in U.S. dollars, let us steal your resources, hand over your consumers to our multinationals, buy our weapons, take our bribes, and then maybe you can join the club. That last paragraph sounds like one of those famous Mafia “deals you can’t refuse.” Of course if Iran would choose to totally capitulate we could back off our threats a bit. Once you get everything you want from a country, then and only then war becomes superfluous. Trump is a bully. To expect consideration from him is a dangerous stance. George Bush said the same things before HE was elected (OR appointed by the Supreme Court. )They all do. Does Iran have a central bank that is aligned with the other central banks? If not, it will be pummeled. The day after Gaddafi was brutally murdered, somehow these gun-toting warriors had the wherewithal and the knowledge to set up their own central bank – all on their own. Yeah, like that happened! I kind of think they had outside help from the U.S.
Capitalism and warfare are synonymous to our Washington Wizards. To get their folk’s stuff, sometimes it’s cheaper to starve them than bomb them. This is Mafia economics. Sad to say, Iran is on the War Criminals Hit List. The United States is already at war with Iran. We are engaged in an economic blockade, our agents are in Iran spying and sabotaging, we engage in massive cyberwarfare against them, we have a massive military force closely surrounding them, and we are constantly threatening them with massive destruction. In this time when formal declarations of war are passe, there is no clear moment when war either begins or ends. The Zionist neocons will be upset by moderation in Iran. The warmongers have Trump’s ear now. His background gives him nothing with which to oppose them. As a sociopath, he has no moral backbone. mike k – I agree with much of what you have to say, but to say that Trump is a sociopath is to ignore the facts. If Trump was a sociopath, he would have willingly embraced the neocons a long time ago and joined the club. But Trump is not part of the club; he’s an outsider. Why do you think they’re fighting him day and night? What are we talking about here on a daily basis? Trump wants to do business, make contracts. The neocons want to do business as well, except they don’t mind killing millions to do it. There’s a big difference. Heck, they’re going after Trump like they’re going after Iran, with lies. If anything, Trump would feel for Iran. I’m sure he does. Trump may feel for Iran in his secret heart (if he has one). But his behavior of increasing sanctions, threatening to abrogate the anti nuclear treaty, and accusing them of being major supporters of terrorism sure doesn’t show it. Also his getting chummy with the Saudis and Israelis will not endear him to their enemy Iran. When I call Trump a sociopath, it is not a psychiatric diagnosis, for making which I am not qualified. I mean it in the ordinary parlance sense, he is a guy who only cares for you for what he can get out of you, otherwise he really doesn’t care what happens to you. His ego and his greed are the whole deal. I could be wrong, and I would love to see some consideration for others in his behavior, but I don’t yet. You never heard of sociopaths fighting each other? You think they have a bond with, or sympathy for their own kind? They often treat each other with greater contempt that they have for the rest of us. mike k – difference is Trump is not a killer. Trump now officially IS a killer. He just signed approval of more than a hundred billion dollars of arms sales for Saudi Arabia WHILE the Saudis are destroying, and killing the people of, Yemen. A good part of that $100 Billion will probably be shunted off to forces trying to overthrow the Syrian Government. Some of us were willing to give Trump the benefit of the doubt when he claimed he would not continue regime change as a US policy or the role of the US as global police. He no longer deserves the benefit of the doubt.